Join TWIST Conference For Women participants for the conference kickoff lunch featuring keynote speaker Dr. Patti Fletcher. 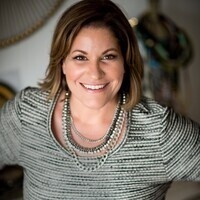 Recognized as a futurist and gender equity adviser, she is a leading advocate for women in business leadership and technology and an authority on how to create a culture of inclusion to drive results. In her book, Disrupters Success Strategies From Women Who Break The Mold, Dr. Fletcher explores what enables some women to not just break the glass ceiling, but to shatter it against all odds. We encourage you to attend and invite friends, colleagues, emerging leaders or your entire team.